Wow – I started reading and couldn’t put this book down. It did a great job of being a stand alone, but I would still recommend reading THE KITCHEN HOUSE first, if possible, to further character development. Speaking of characters, I did sometimes have difficulty with Jamie’s character – mainly because he often made bad/stupid choices that frustrated me. I wanted to see a change in him by the end. While there was a slight one, he still seemed pretty self-serving and selfish. At the same time, I loved the character of Pan. Regardless of whom I did or did not like, this was a well-written sequel to TKH and I think readers who enjoy reading of the Civil War period would enjoy it. Every now and then a book comes along that is to touching and so beautifully done that it makes you want to hold it close to you and weep. This is how I felt about Sarah McCoy’s THE MAPMAKER’S CHILDREN. In this novel, modern day Eden moves to an old house in New Charleston, W.V. Her story parallels another story of that house in a different time: as a stop on the Underground Railroad. Sarah Brown is the daughter of abolitionist John Brown and she makes maps for slaves moving north to seek freedom. Sarah is a complex character and struggles with her own physical and emotional limitations while bravely working to bring families to freedom. Eden, meanwhile, is struggling to come to terms with her relationship with her husband and the trials they have faced with infertility. Eden finds a doll’s head under the kitchen floorboards which starts her on a quest to find out more about the house. Add in a precocious young neighbor and a cute puppy, and Eden reaches the point where she must decide whether she will embrace life, or continue to live in self-doubt. I just loved this book. I always love Sarah’s writing and this was no exception. She has an amazing ability to capture setting so that you feel the time and place; she captures character as well and you feel you really know these people. 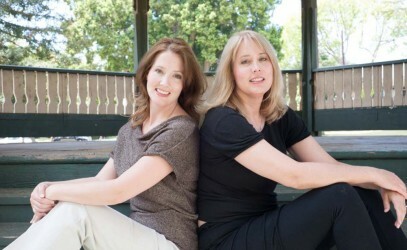 Eden’s and Sarah’s stories are woven together seamlessly. Highly recommended! Sarah will be at the Concord Bookshop on May 7 and my calendar is marked! Thank you, Net Galley and Crown Books, for my review copy!! 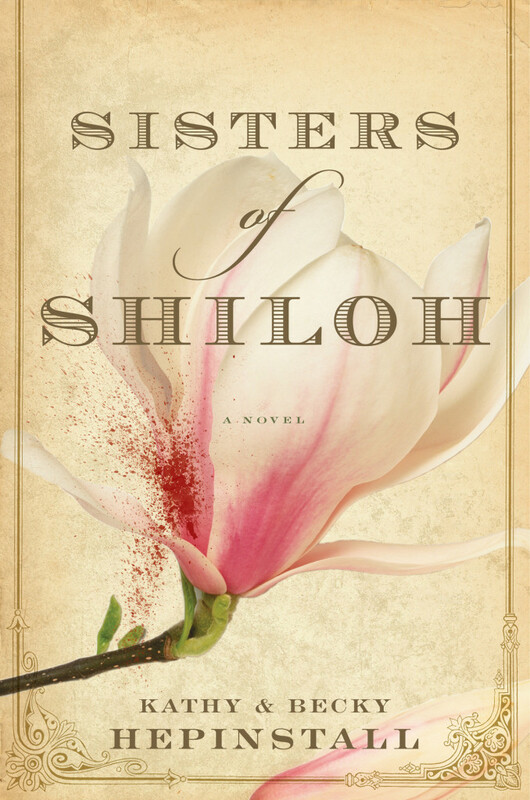 I’m so happy today to be taking part in the Historical Fiction Virtual Book Tour of SISTERS OF SHILOH — a Civil War story of two sisters who go off to war. I absolutely loved it! Libby and Josephine aren’t very similar, but their bond as sisters is fierce. Libby marries neighbor boy Arden, while Josephine still hasn’t been kissed. When Arden is killed in battle, Libby vows to avenge his death by killing 21 Yankees, one for each year that Arden lived. Josephine can’t let Libby go on her own, and joins her in the disguise of two young men heading off to war. During their “enlistment”, Libby and Josephine learn to fight, survive the elements, and endure the amazing hardships that existed for Civil War soldiers, all while hiding their true identities. Libby’s love for Arden brings him close in spirit – close enough that he talks to her and guides her actions. Josephine however, falls in love with a fellow soldier, which brings complications of its own. I just loved this story and read it in one day. The writing is so beautifully evocative. I’ve never read a book with two authors where you couldn’t see the seams where the two writing styles came together. Libby waited for her dead husband in the woods, her breath making clouds in the cold night air. I love that opening. I loved these characters. I loved this book! A best-selling novelist enlists her own sister to bring us the story of two Southern sisters, disguised as men, who join the Confederate Army—one seeking vengeance on the battlefield, the other finding love.In a war that pitted brother against brother, two sisters choose their own battle. Joseph and Thomas are fresh recruits for the Confederate Army, daring to join the wild fray that has become the seemingly endless Civil War, sharing everything with their fellow soldiers—except the secret that would mean their undoing: they are sisters. Kathy Hepinstall grew up outside of Houston, Texas. Kathy is the best-selling author of The House of Gentle Men, The Absence of Nectar and Blue Asylum She is an award-winning creative director and advertising writer. She currently resides in Santa Barbara, California with her husband. Visit Kathy’s Blog. 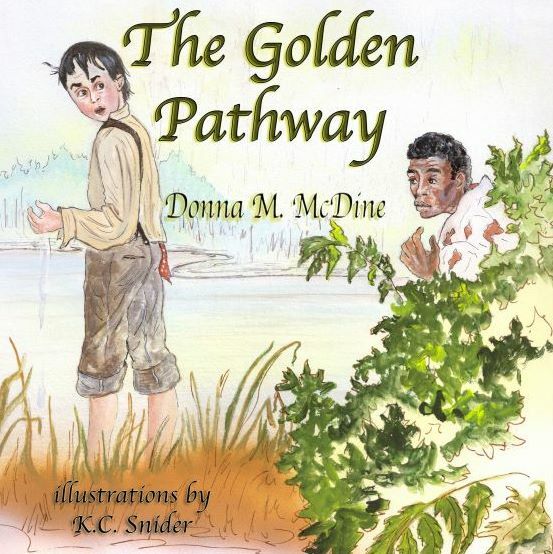 Today I’m thrilled to be part of the HF Virtual Book Tours blog tour for the promotion of the book THE GOLDEN PATHWAY by Donna M. McDine and illustrated by K. C. Snider. This story is written for children and is about a young boy’s experience during the Civil War. Young David lives in a violent home, and he befriends his family’s slave, Jenkins. One night he gets a chance to help Jenkins escape on the Underground Railroad. Will he take the risk to help his friend? This is a very short story — picture book style and less than 20 pages. The copy I read was a hardcover/library binding edition. 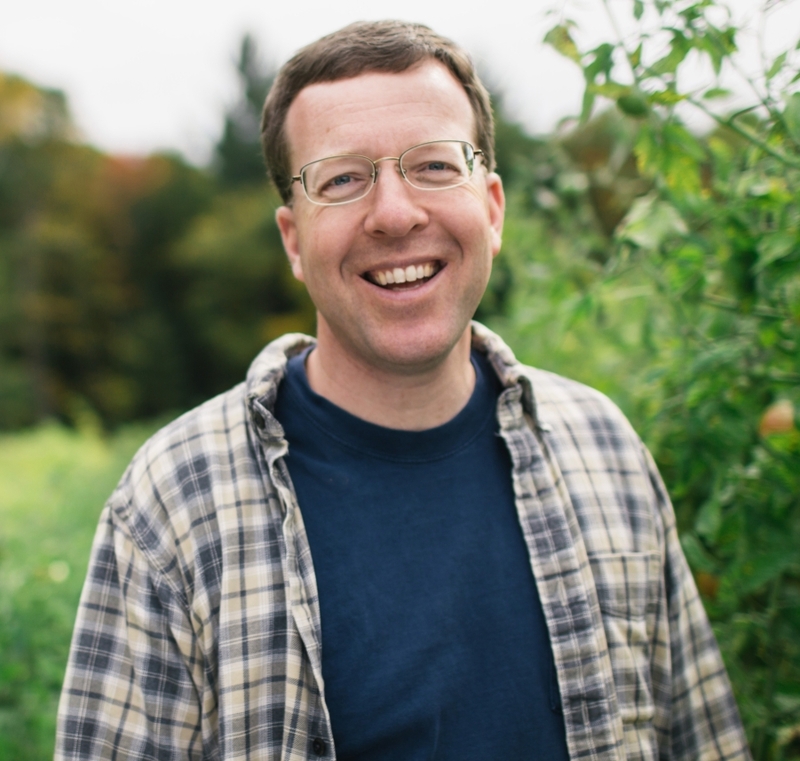 I kept thinking how this would be a wonderful edition to the classroom: David’s story is a great jumping off point to start to discuss the Civil War, slavery, the Underground Railroad, and basic human rights. It is aimed at younger elementary-aged readers, and I plan to have my children read it as a way to start a discussion on slavery and the Civil War (which they’ve learned about some in school, but still find puzzling and highly disturbing). Author Donna McDine is an award-winning author with several books to her credit. You can read more about her at http://www.donnamcdine.com. THE GOLDEN PATHWAY is published by Guardian Angel Publishing. Thank you, Amy, for making me part of your book tour! Oh how I loved this book! While it doesn’t publish until 1/2014, I just can not stay quiet about this Civil War love story and spunky heroine. Rosetta and Jeremiah are newly married when Jeremiah leaves to join up with the Union forces. Rosetta is a tomboy and while she loves being married, she detests “women’s work” (of that era) and prefers to run the farm. A series of events lead her to rashly decide to join up disguised as a boy so that she can find her husband and be with him. I absolutely loved this story and give McCabe credit for creating such a powerful heroine with a unique voice. Her depiction of the Civil War experience is clearly based on much research and I could not forget this book after I was done. I cried in parts. I rooted for Rosetta. I could not put it down. Another Net Galley ARC that I downloaded for my Kindle was “Tomorrow’s Sun” by Becky Melby. In this novel Emily Foster is a young woman who is haunted by the tragic events of a past skiing accident – an accident for which she blames herself. To make money and to help herself heal, she decides to fix up and sell a house she has purchased. However, Emily is unprepared for what she finds: an old Underground Railroad stop with letters from the 1860’s. Emily is also unprepared for the feelings she begins to have for her contractor, Jake Braden. Emily’s story mirrors the story of the house in the 1860’s. I enjoyed reading this novel, which would be considered a romance with a touch of historical fiction in it. It also had a strong Christian element in it, especially in the second half of the book (it seems I’ve gotten a lot of books with Christian themes in them lately!). Most of the story worked for me – though I will admit to finding Jak’es brother-in-law a bit too much of a villain, and I found it an awfully big coincidence that Becky had met Jake in the distant past as a teen. All in all, though, I love a historical mystery and a happy ending! Thanks Net Galley and Barbour Publishing, Inc. for my copy!